Gunfleet Sailing Club held the concluding race of the Winter Series last Sunday, which was also the final race of 2016. The blue sky and sunshine helped to mask the cold easterly wind which was blowing between force four and six. At a rather scattered start, Ken Potts in his Laser was the only competitor to be right on the button, heading up the coast to the Kingscliff buoy in almost total isolation. Gunfleet Sailing Club held the sixth and penultimate race in its Winter Series last Sunday morning, 28 November, with Ken Potts once more taking the honours in his Laser. Gunfleet Sailing Club held its Laying-Up Dinner and Dance last Saturday, 12 November, at the Clacton Golf Club. Gunfleet's Commodore Richard Walker welcomed 75 members to the evening and, following an excellent meal, looked back over the Club's first year of sailing with the new sea defence scheme. The racing had been well supported but the cruises had suffered from bad weather at times. 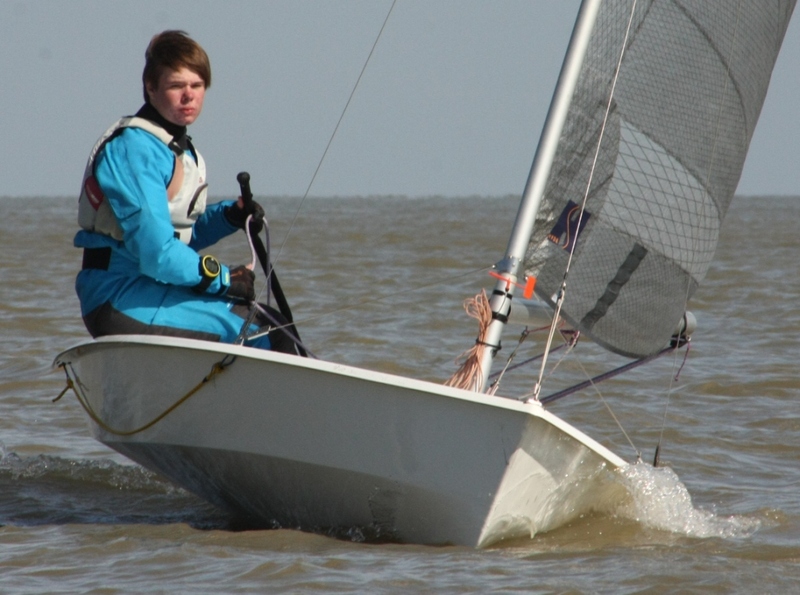 Gunfleet Sailing Club members had a lively race last Sunday 6 November, in strong offshore winds, culminating in a very clear win for Ken Potts in his Laser. Gunfleet Sailing Club commenced its Winter Series last Sunday 23 October with Andy Dunnett taking the first of seven races in his Laser. The last race in Gunfleet Sailing Club’s Autumn Series, on Sunday 9 October, saw first place going to Ken Potts in his Laser, so giving him overall victory. Gunfleet Sailing Club held the second race in its Autumn Series last Sunday afternoon 2 October with a flat sea but strong offshore winds, which made for some interesting sailing; Ken Potts taking a convincing win in his Laser. 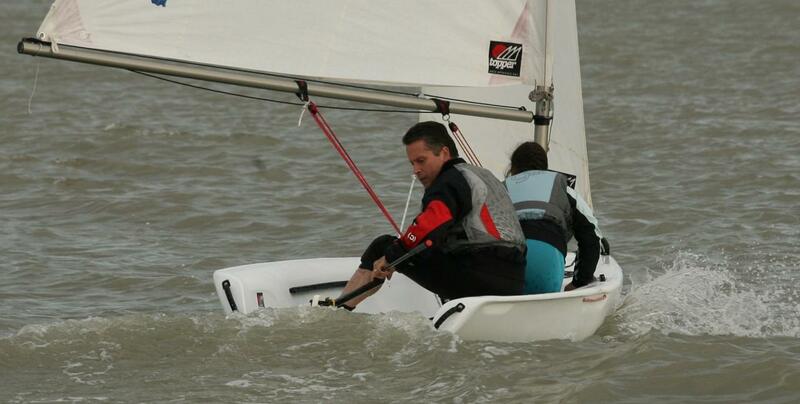 Gunfleet Sailing Club members braced themselves for a lively sail last Sunday morning, with winds blowing force 5 gusting 6, as they prepared their dinghies for the first race in the Autumn Series. The west/south-westerly winds brought some strong gusts as the competitors beat down the coast against an ebbing tide. Conor and Finlay Williams lead at the start in their 405, followed closely by Yvonne Gough in her Laser. Once round the first mark, the Eastcliff buoy, it was an exhilarating reach out to Seaward, the gybe mark, and this manoeuvre caught several sailors out. Gunfleet Sailing Club played “catch-up” last Sunday 18 September when it ran two races postponed from the very start of the season. 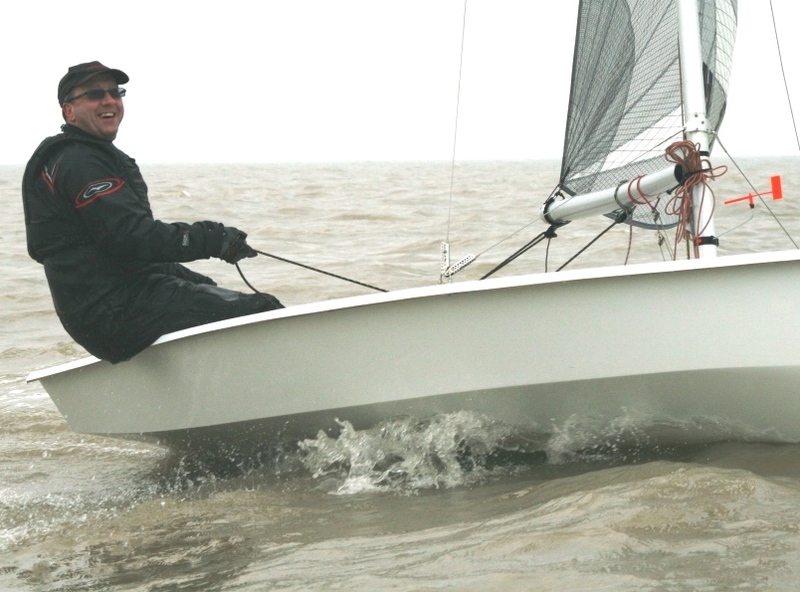 The first race, for the March Hare Trophy, was convincingly won by Ken Potts in his Laser. 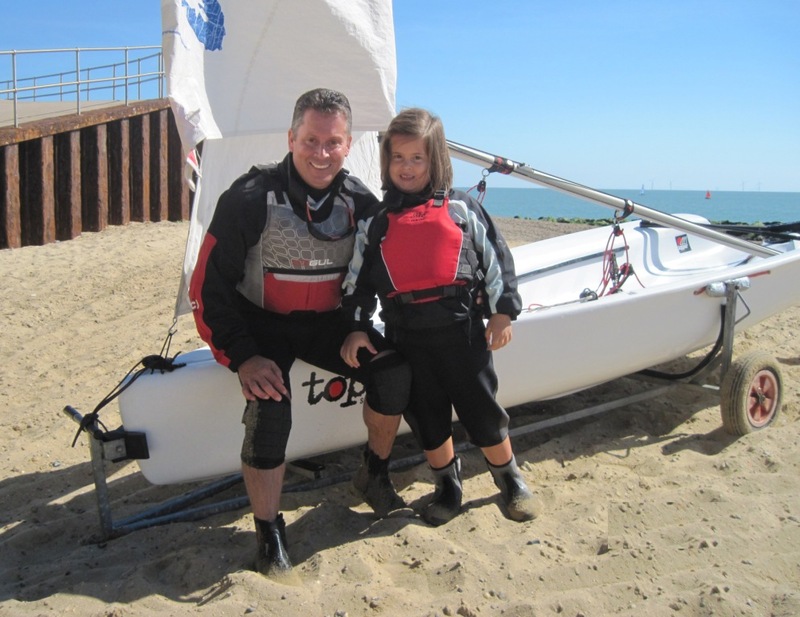 Father and daughter Steve and Poppy Swinbourne celebrate Poppy's very first sail, and she loved it! 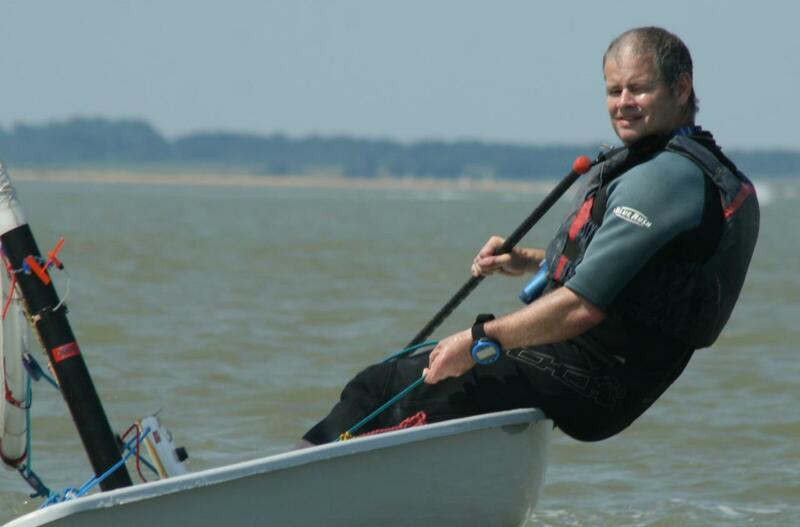 Gunfleet Sailing Club held its race for the Bill Clarke Shield last Sunday 11 September with Peter Downer achieving a very convincing win in his Comet dinghy. Gunfleet Sailing Club held its Regatta Weekend, sponsored by Discount Windows and Conservatories of Clacton, with some great sailing spread over two days of the August Bank-Holiday. Gunfleet Sailing Club held an exciting race last Sunday afternoon 21 August, for the Fleet Championships, with Paul Stanton taking first place in his Laser. Gunfleet Sailing Club held the second and final race in the Potts Pursuit Challenge last Sunday 14 August, in a light offshore breeze. With staggered class starts, it was the Topaz class that was first away, giving an early lead to Steve Swinbourne and Rebecca Goodchild. They headed down the coast to the St. Michael’s buoy but soon found Peter Downer in his Comet hot on their heels, after an excellent start. Dave Fowell and Jerry Goodchild were unleashed next, in their GP 14, followed a few minutes later by the 405 class. Gunfleet Sailing Club’s 2016 Cadet Week from 1 to 5 August, sponsored by Dong Energy, proved a real hit with a great mix of racing in the morning and games in the afternoon, the latter being both on and off the water. Gunfleet Sailing Club’s members took part in the race for its oldest trophy, the Tee Dee Challenge Cup, last Sunday 31 July with Ken Potts claiming victory in his Laser.